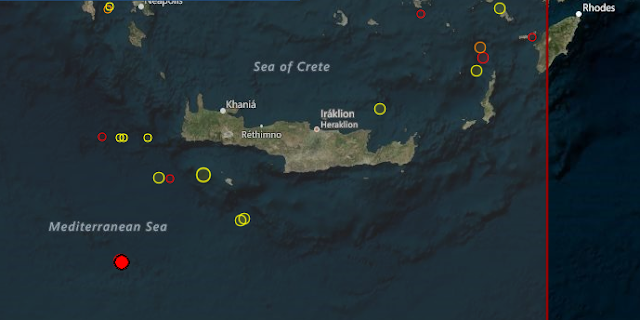 We were expecting an event in Greece at (35.2N, 26.3E) as per yesterday's post. with coordinates (34.69N, 23.51E), but only a 3.0R. The coordinates were much closer to our predicted.